Richard Pousette-Dart - Works 1940-1992 travels from London to New York. Exhibition on view at Pace Gallery 57th street. Opening Friday May 10th, 2019. 32 West 57th street. Jan 18th 2019 through Feb 20th 2019. Pace Gallery will present the first exhibition of works by Richard Pousette-Dart at 6 Burlington Gardens. Works 1940-1992 will be on view from 18 January 2019 to 20 February 2019. It will follow Richard Pousette-Dart: Beginnings, an exhibition presented at Kettle’s Yard until 6 January 2019. A selection of works on paper will be exhibited for the first time. Opening reception: September 14th, 6-8pm. Through November 18th, 2016. Panel discussion of the works of Richard Pousette-Dart from the 1930s, with catalog essayists Charles Duncan and Lowery Stokes Sims, moderated by Phong Bui. The Drawing Center will present Richard Pousette-Dart: 1930s the first in-depth consideration of Richard Pousette-Dart’s drawings from the 1930s, a period when the artist pursued directly-carved sculpture, yet also painted, experimented with photography, and created numerous works on paper. These early drawings explore Pousette-Dart’s concerns about sculpture and working three-dimensionally, and many reference the figure through full-frontal or profile views as they consider space, orientation, and volume. Additionally, numerous studies allude to dance, animal forms, masks, and heads, and many examples offer an accumulation of abstract and geometric forms, particularly for his brasses—small sculptures meant to be “held in the hand.” The exhibition will include approximately eighty works from the 1930s including drawings, notebooks, and brasses. Curated by Brett Littman, Executive Director. 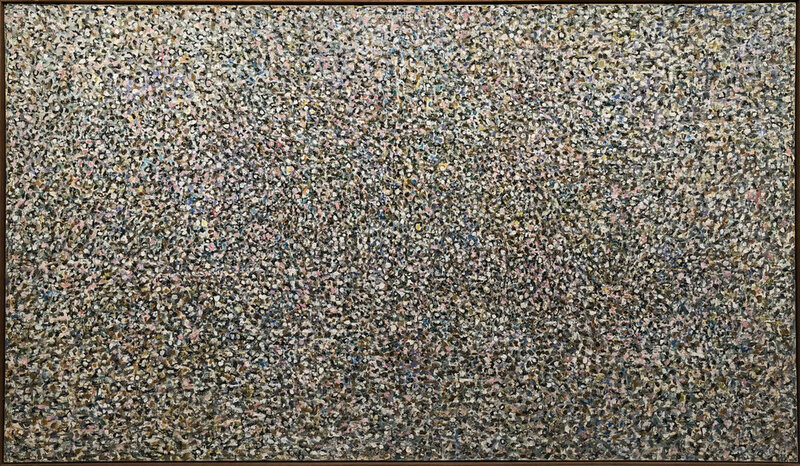 Born in Saint Paul, Minnesota on June 8, 1916, Richard Pousette-Dart was raised in Westchester County, New York. He briefly attended Bard College but left to pursue art on his own in New York City where he became part of the first generation of Abstract Expressionists. During his career, Pousette-Dart created a lexicon of biomorphic and totemic forms that provided rich visual and symbolic sources that he would explore throughout his long career in a multitude of painterly approaches. In 1982, Pousette-Dart was chosen by the International Committee of the Venice Biennale to exhibit in the main pavilion. His work has been the subject of solo exhibitions including the Whitney Museum of American Art (1963, 1974, 1998); Museum of Modern Art (1969); Metropolitan Museum of Art (1997); the Solomon R. Guggenheim Museum and Peggy Guggenheim Collection in Venice, Italy (2007), and most recently, Full Circle: Works on Paper by Richard Pousette-Dart at the Philadelphia Museum of Art (2014). Catalog essayists, Charles Duncan and Lowery Stokes Sims, discuss the works of Richard Pousette-Dart from the 1930s. To accompany Richard Pousette-Dart: 1930s, The Drawing Center will produce an extensively illustrated four-color Drawing Papers featuring an introduction by Drawing Center Executive Director Brett Littman and essays by Charles Duncan, Executive Director of the Richard Pousette-Dart Foundation and Lowery Stokes Sims, Curator Emerita of the Museum of Arts and Design in New York. The catalogue will be sold through The Drawing Center’s bookstore and website, and be distributed by Distributed Art Publishers. Richard Pousette-Dart: 1930s, is made possible by the support of The Estate of Richard Pousette-Dart and Pace Gallery. The Drawing Center, a museum in Manhattan’s SoHo district, explores the medium of drawing as primary, dynamic, and relevant to contemporary culture, the future of art and creative thought. Its activities, which are both multidisciplinary and broadly historical, include exhibitions; Open Sessions, a curated artist program encouraging community and collaboration; the Drawing Papers publication series; and education and public programs. Tickets: $5 Adults, $3 Students and seniors, Children under 12 are free, and free admission Thursdays 6-8pm. We are pleased to announce that Richard Pousette-Dart, an exhibition on view at Pace Gallery, 510 West 25th Street in New York, has been extended through February 14, 2015. The exhibition features works examining the artist’s use of geometric imagery from the late 1960s through the mid-1980s. Pace Gallery is pleased to present its first exhibition of work by Richard Pousette-Dart. The exhibition will feature twelve paintings and ten works on paper examining the artist’s use of geometric imagery from the late 1960s through the mid-1980s. To accompany the exhibition, Pace will publish a catalogue featuring a new essay by critic Alex Bacon, quotations from the artist’s notebooks and excerpts of scholarly texts by Robert Hobbs, Sam Hunter, Carter Ratcliff, Barbara Rose, Philip Rylands, Martica Sawin, Lowery Stokes Sims and Robert Storr. The exhibition will be on view at Pace Gallery, 510 West 25th Street, New York, NY from November 7, 2014 through January 10, 2015. When Ai Weiwei enrolled at The Art Students League from 1983-86, he encountered a multi-generational community of dedicated teachers and students, deeply rooted in the mid -twentieth century avant-garde. After moving to the United States in 1981, and studying briefly at Parsons School of Design, Weiwei began taking classes with League instructors Richard Pousette-Dart, Bruce Dorfman, and Knox Martin. Featuring Weiwei’s work alongside his instructors and their teachers Vaclav Vytlacil, Will Barnet, and Yasuo Kuniyoshi, this exhibition, Making/Breaking Traditions: Teachers of Ai Weiwei, explores the atmosphere at the League in the 1980s. Works in a variety of media trace creative lineages and raise questions about artistic tradition, self-expression, and creative freedom. Richard Pousette-Dart first came to the Art Students League in the late 1930s, attending open sketching sessions as a path to refining his sculpture. From 1980 to 1986 he returned to The League as an instructor, a role that made an impression on the young Ai Weiwei, who found inspiration in the teaching of the established painter. Works on view include The Dance V, 1937 and Summer of Great Ochre, 1989-90, both courtesy of the Richard Pousette-Dart Estate. Also on view are archival materials, including a statement from Ai Weiwei to Richard Pousette-Dart, ca. 1982, lent by The Richard Pousette-Dart Foundation.